Take time to explore all of the different types of vouchers we have available in the categories below to find a truly unique experience. National Theatre Tokens Theatre Tokens is the largest voucher scheme in the theatre industry. 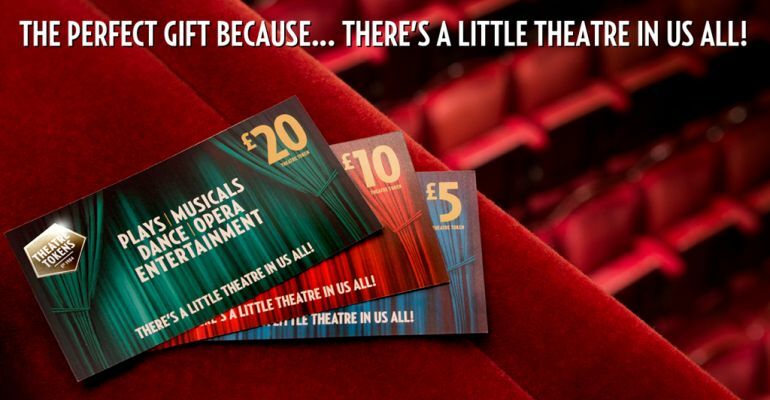 These Theatre Gift Card Vouchers are accepted across the UK at over 240 Theatres. They are a versatile and easy to use and do not expire therefore can be redeemed anytime. These Gift Card Vouchers can be used as part or full payment for a show of your choice, any change is left on the Gift Card to use at a later date. A full list of participating theatres is available to view on our information page. They are available in denominations of £5 and over and come in a Gift Card design packaged in a stylish wallet. 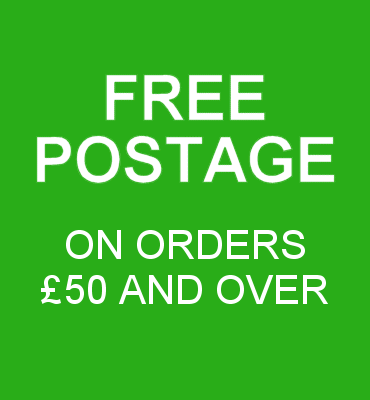 Free Shipping is available for orders of £50 and over. London Theatre Vouchers The London Theatre Vouchers are supplied by a leading ticket agency in London. Their product portfolio features all of London's theatres, plus restaurants, attractions, river cruises, sightseeing tours, exhibitions, events and theatre breaks in addition to UK regional theatres and Broadway. London Theatre Gift Vouchers are unique as they can be exchanged against full price tickets, many great special offers, dinner and show packages and hotel and show packages and attractions. With tickets starting at £15 and dinner and show package from £25 you can give great gifts without breaking the bank. Free shipping is available on all orders for London Theatre Vouchers. Theatre Break Gift Vouchers We've teamed up with a leading Short Break specialist to bring to you a versatile and easy to use Theatre Break Gift Voucher. Theatre Break Gift Vouchers allows you to combine a top price Theatre Ticket and hotel stay so your recipient can have a truly unique theatre experience. With top West End shows every night of the week and some truly amazing hotels available, you will find you are spoilt for choice when deciding where and when to spend your Theatre Break Gift vouchers. They are available from as little as £5 and come in a stylish wallet. Free Shipping is available for orders of £50 and over. 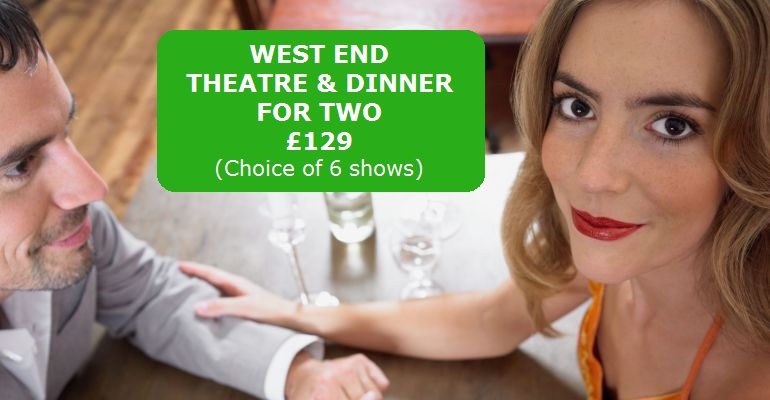 Theatre & Dinner Vouchers These Theatre Gift Vouchers are supplied by a leading experience superstore to bring you a truly wonderful Theatre & Dinner experience at competitive prices. There is a wide variety of packages available including top price tickets to some of London's most popular shows and specially selected restaurants within easy reach of the Theatre. These Theatre Gift Vouchers are presented beautifully and are easy to redeem. They are valid for 12 months and can be extended, subject to terms and conditions. Free Shipping available on orders of £50 or more! Musical CD's available from as little as £6.99. Require something for presentation immediately? Download our emergency gift certificate by following this link and then pass on the theatre gift card to the recipient at a later date or have them delivered directly.